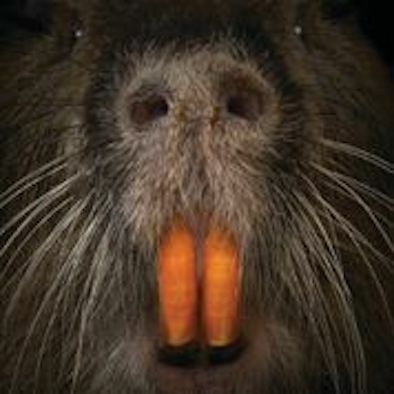 Nutria are a classic example of an invasive species run amok. The new documentary, “Rodents of Unusual Size,” is a beautiful tribute to the people of South Louisiana but ultimately falls short on its mission to educate the public on what’s displacing them. The film tells an urgent story of Louisiana today, where the ravages of the oil economy combine with decades of environmental mismanagement to literally wash our coast away. The film takes us to Delacroix Island — “the end of the world” — where residents are fighting to preserve both terra firma and a way of life. Like other South Louisianans, the Gonzalez family has a fraught relationship with those giant, orange-toothed rats called nutria. Nutria are surprisingly cute — as rats go. An invasive species from South America, they’re also an existential threat to communities like Delacroix. For Thomas Gonzalez, the star of the documentary, coastal restoration amounts to trapping and shooting the 20-pound rodents by the truckload. The state of Louisiana offers a $5 bounty for each nutria tail. With a single hunting trip sometimes yielding hundreds of tails, nutria killing has become a way for Gonzalez to help make ends meet. Nutria didn’t get here on their own. They were brought from South America to Louisiana in the 1930s as a new source of pelts for the garment trade. Whatever nurtria thought about being turned into fur coats and hats, they loved the river deltas and the abundance of aquatic plant stems that are their dietary mainstay. As the numbers of nutria grew, they ate their way through the wetlands. And as the vegetation started to disappear, so did the sodden land the plants had held in place. But while the nutria undoubtedly have contributed to Louisiana’s land loss problem, they’ve had a lot of help from another mammalian species: us. The 1930s were also a time of rapid expansion of the Gulf South’s oil and gas industry. As extractors pumped fossil fuels from the ground, they also dug up and dredged the earth to lay pipelines and clear shipping channels. It sped up the natural process of subsidence. Soon the salty waters of the Gulf were sliding farther and farther along those pipelines and canals, killing marsh grass and hastening erosion. It didn’t help that leveeing the Mississippi River choked off the springtime floodwaters that for millennia had been replenishing the coast with an annual coating of sediment, now sluiced out into the depths of the Gulf. Today we see the upshot of a global — and state — economy addicted to fossil fuels. Louisiana loses an acre of land every hour, more than 6.2 million acres since the early 1930s. Our coast has become a poster child for accelerating environmental collapse. Without an epic course correction in the fight against climate change, the trappers and fisher families of Delacroix Island will be next on the list of Louisiana communities lost to rising seas and dying marshlands. Before I started meeting people in the commercial fishing industry, I assumed they made their living solely through harvesting a species or two. “Rodents” shows us a more complex reality — that South Louisiana fishing communities have traditionally hunted a variety of animals based upon the rhythms of the seasons. A traditional South Louisiana fisher might catch speckled trout in the spring, shrimp and crabs in the summer, and redfish and oysters in the winter, with some alligator trapping in the fall as lagniappe. The filmmakers seem like they’ve stuck their heads in the mud by not even mentioning climate change. The commercial harvest of redfish has been banned since 1988. It remains a sore spot for traditional fishers who feel that the ban unfairly targets the commercial industry while ignoring the significant pressure put on redfish stocks by the recreational sector. It’s a still-raw reminder that when the state mismanages environmental resources, vulnerable residents on our coast will be the first to feel the consequences. Clearly there are other issues affecting the Gonzalez family, but the filmmakers chose to keep the focus on the nutria problem. That decision makes for a well-structured and entertaining film. But the filmmakers seem like they’ve stuck their heads in the mud by not even mentioning climate change. During a brief animation sequence that describes erosion and dredging, we see a few oil and gas platforms but no deeper explanation of who really caused it and who really benefited amid all that land loss. I asked directors Quinn Costello, Christ Metzler, and Jeff Springer whether this omission was a conscious choice. They told me that there was no discussion or agreement to exclude climate change, but that they felt the film needed to stay focused on the nutria and the human subjects of the film. Perhaps the film required that sharp focus, but the truth resides in a more panoramic view of South Louisiana and the fossil-fuel economy worldwide. If you could wave a magic wand and hunt the nutria out of existence, Delacroix would still be sinking into the ocean. In a sense, the nutria are a red herring. It’s hard to say whether the directors of “Rodents” consciously gave big oil a pass or subconsciously edited the film to make it less political. I hope neither is true, because that sort of self-censorship does a disservice to South Louisianans who are losing their land year by year. They deserve the support of a public willing to face a harsh and ominous reality — and take action. That said, I’m grateful that the filmmakers chose to take a close look at South Louisiana and the people hanging on by a thread to preserve it. Without a fierce fight against climate change, it might be too late to save our coast. All the more reason to document it while it lasts. “Rodents of Unusual Size” is showing at the Zeitgeist Multi-Disciplinary Arts Center at 7:00 p.m. from August 31 through September 6. Kendall Dix is the fisheries organizer for Gulf Restoration Network.